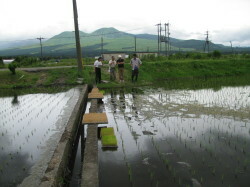 An originarity of the cultivation are points taking the crop rotation system, he uses a cultivated field as follows, (rice planting in middle May) Rice(harvesting from middle September to October)→(November)wheat(May in next year)→(June)soybean(from September to October)→(November)wheat(May in the year after next)→(rice planting in middle May in the year after next)rice(harvesting from middle September to October). 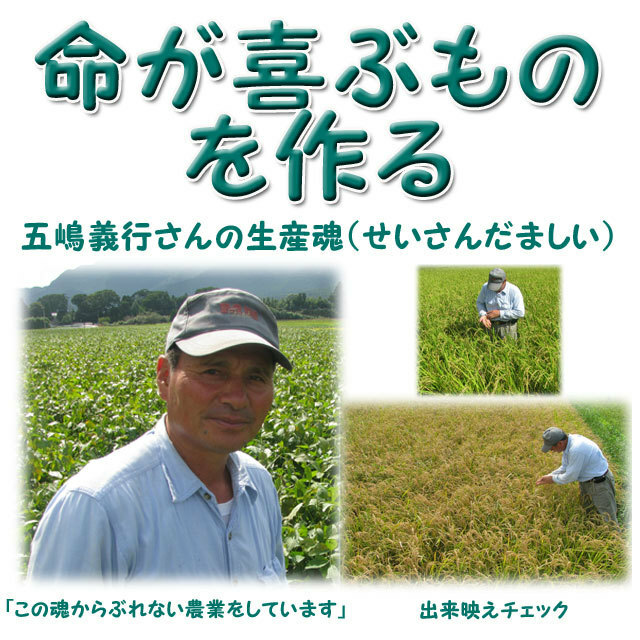 He puts wheat cultivation between rice and soybean, and makes a soy bean and rice in turn. 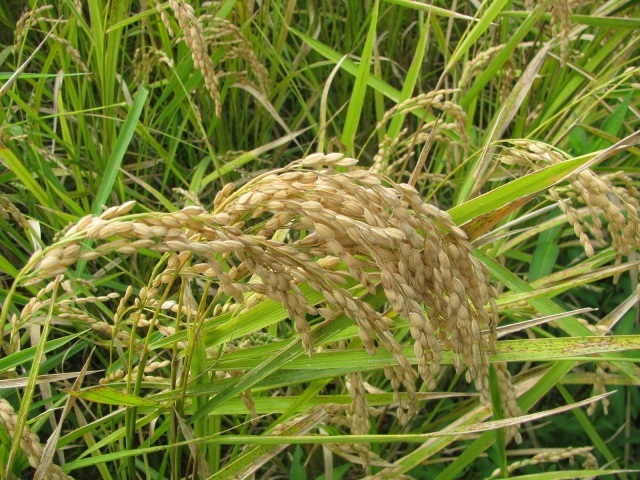 The rice after the soy bean cultivation becomes tasty. 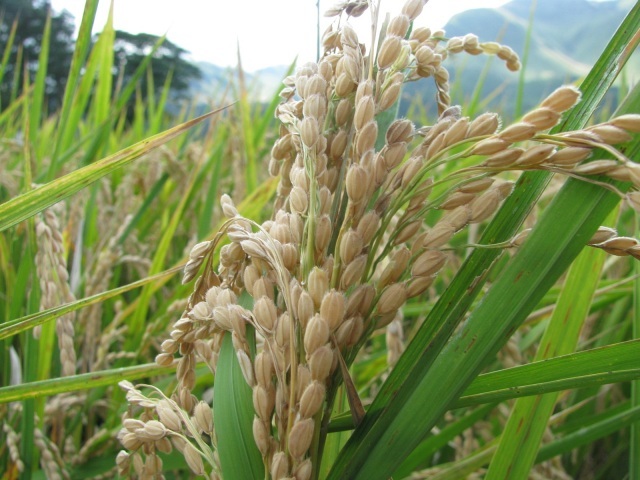 Because the rice of the next year absorbs the nitrogen fixation bacteria (a root nodule bacteria) that is close together to a soy bean. The producer is Mr.Yoshiyuki Goto who resembled sort of Indian's chief in a face. He seemed to be a judoist and I surely supposed him tender and strong. 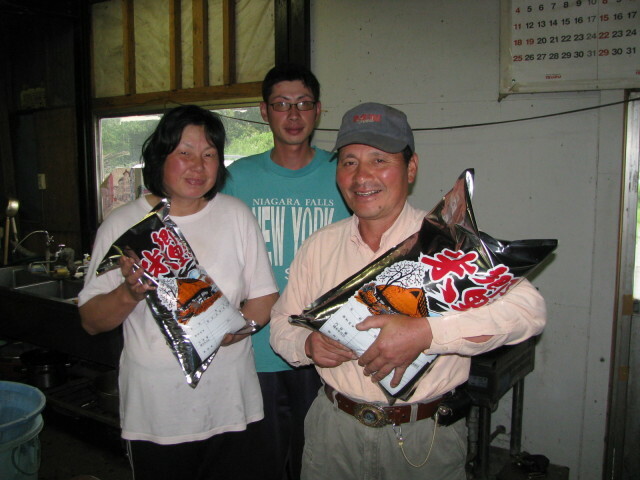 He runs the agriculture by three people with his wife and his tall son.